After High Court of Justice allowed for Khan al-Ahmar to be legally torn down, Palestinian officials file war crime complaint against Israel with International Criminal Court over planned displacement of Bedouin encampment. Palestinian Liberation Organization (PLO)'s Secretary General Saeb Erekat said Tuesday the Palestinians have filed a new complaint against Israel with the International Criminal court (ICC) to investigate Israel's planned demolition of the Bedouin village of Khan al Ahmar in the West Bank. He also indicated the Palestinians plan to join other international bodies. He said Israel should be held accountable for its plans for the Khan al-Ahmar encampment, a West Bank hamlet that has focused attention on what critics say is a displacement of Palestinians by Israel. European countries urged Israel this week to refrain from demolition. Israel's High Court of Justice rejected an appeal last week, paving the way for demolition. In reference to the series of decision the US has taken regarding the Palestinians the PLO's secretary general said, "The US threats against the ICC are a coup against the rules in the international system. The Trump administration wants to dismantle the international order to ensure that it can stay above the laws and escape accountability." Israel has long denounced Palestinian efforts to globalize their conflict by turning to external bodies with bogus claims. In particular, it says the ICC lacks jurisdiction because Israel is not a member of the court. The Trump administration has threatened to impose sanctions if the court pursues investigations against the US, Israel or other allies. John Bolton said the ICC "is already dead" to the US. The administration also cited the refusal of Palestinian leaders to enter into peace talks with Israel as the reason for closing the Palestinian Liberation Organization office in Washington, although the US has yet to present its plan to resolve the Israel-Palestinian conflict. The Palestinians accuse the administration of dismantling decades of US engagement with them by blatantly siding with Israel. Erekat quipped saying that the only way to resume negotiations talk would be when Prime Minister Benjamin Netanyahu declares US envoy to the Middle East Jason Greenblatt and US Ambassador to Israel David Friedman as part of the Israeli negotiations team. 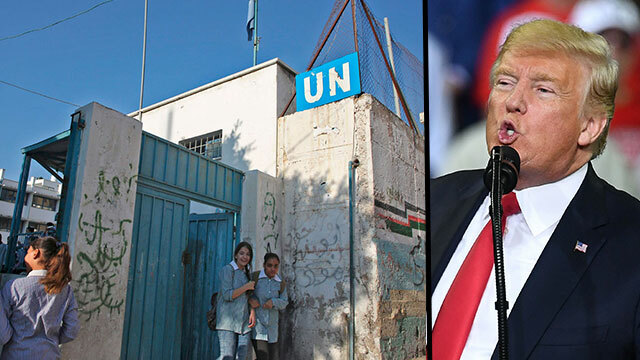 Palestinian Foreign Minister Riyad al-Maliki said Tuesday in conference of the Arab league in Cairo that President Donald Trump's decision to halt all funding a UN agency that helps Palestinian refugees (UNRWA) is an "attack against the Palestinian people and the international law." UNRWA is short of $200 million and is looking for funding solutions in Europe and the Arab Gulf countries. "We don't want confrontation with the US, by the way, but how can anyone with all these American decisions, Trump's decisions, believe that these people can be honest brokers, facilitators in any peace process? They are no longer partners in the peace process," Erekat said. Meanwhile, the Palestinian envoy to Washington said his staffers have been given a month to pack up after the US punished them for what the State Department called the Palestinian leadership condemnation of "a US peace plan they have not yet seen." Palestinian President Mahmoud Abbas halted ties with the Trump administration in December after the US recognized contested Jerusalem as Israel's capital. The US embassy was later moved there from Tel Aviv. "We lost the US administration but we gained our national rights," Zomlot said. See all talkbacks "Palestinians turn to ICC over West Bank village demolition"